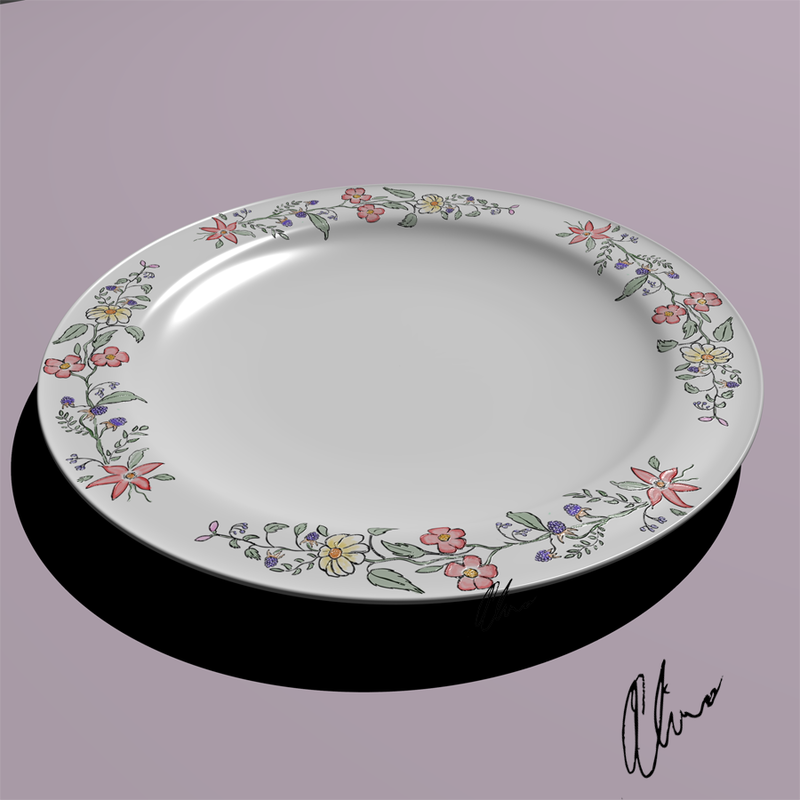 The design of my Victorian-inspired plate is a combination of hand drawing and digital painting applied on a 3D- modelled plate. Below is a breakdown of the creative process, from start to finish. 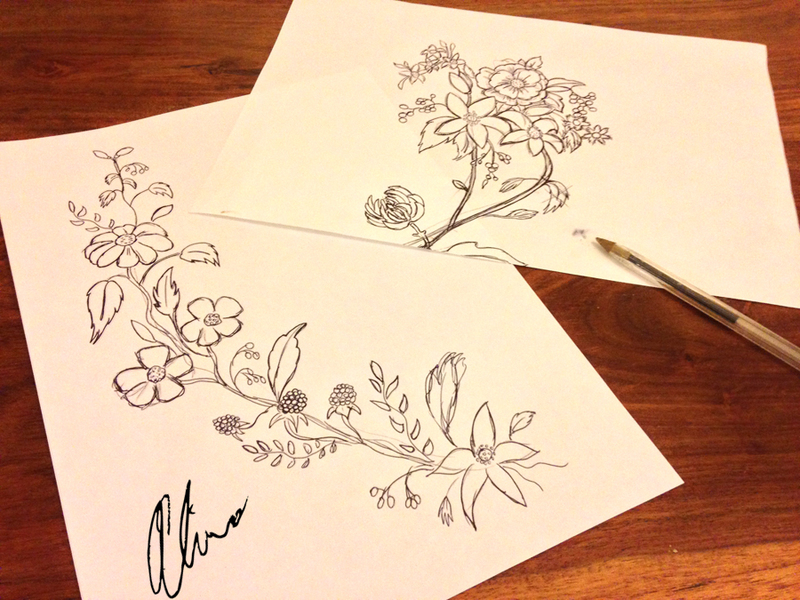 The flower pattern is drawn by hand. 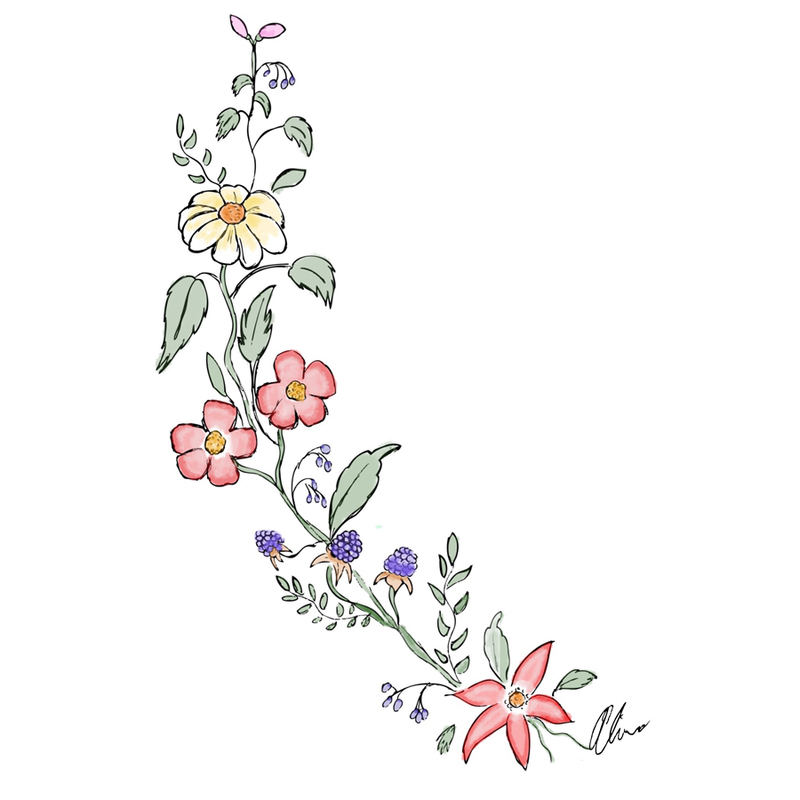 The drawing is then scanned and digitally traced and painted. 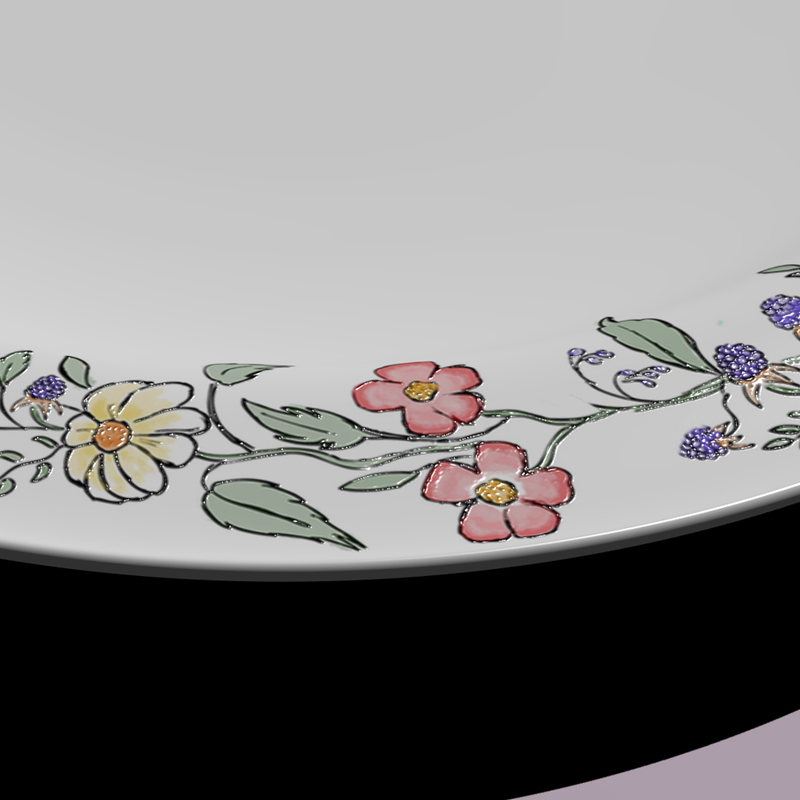 Plate is added to the scene. It’s been a while since I posted anything on here. My work and other interests have kept me away from WordPress but hopefully I’ll be coming back on a more regular basis from now on. 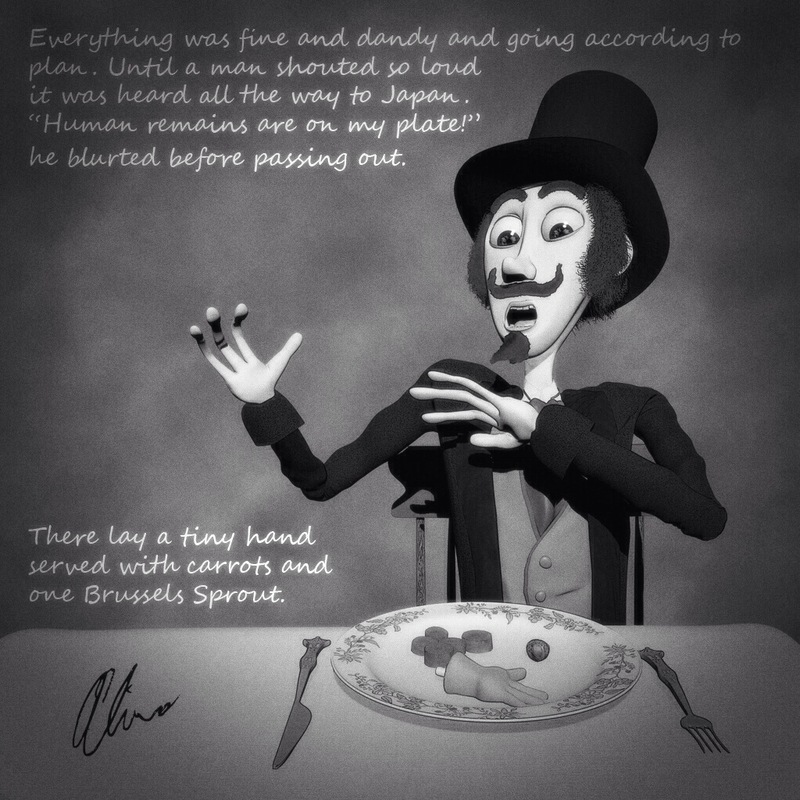 Here’s a little extract from the Amelia poem and the (unfinished) illustration that goes with it.